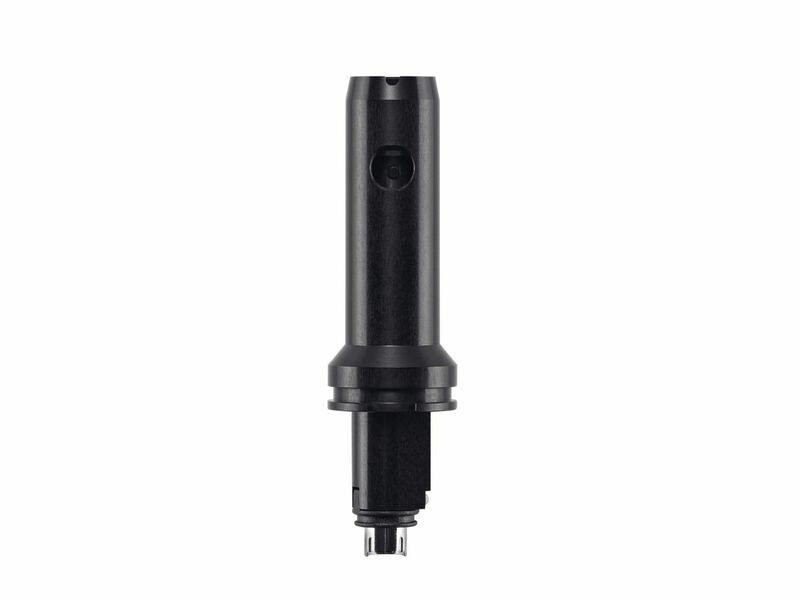 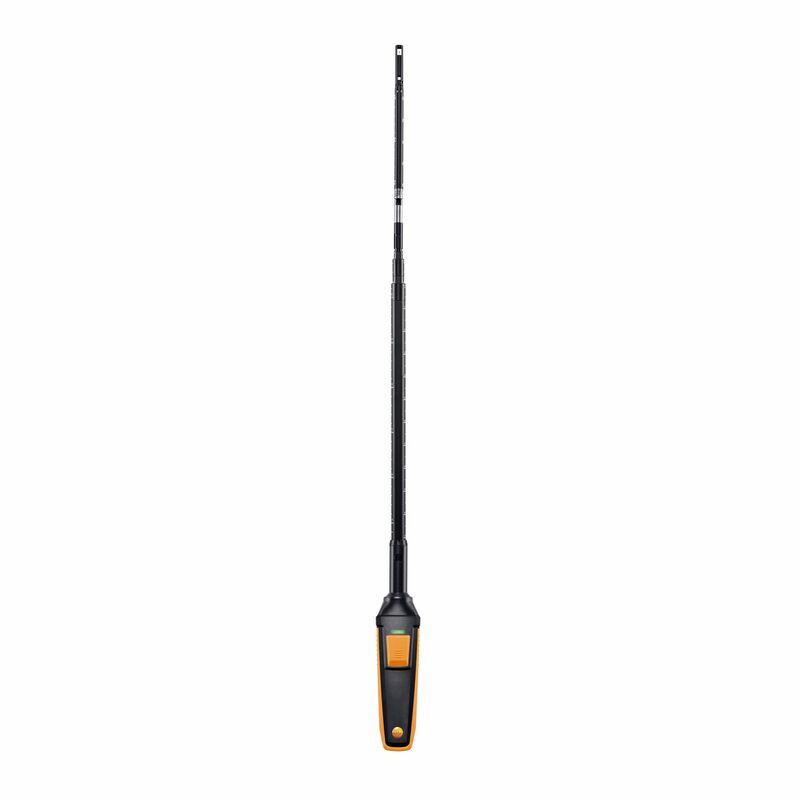 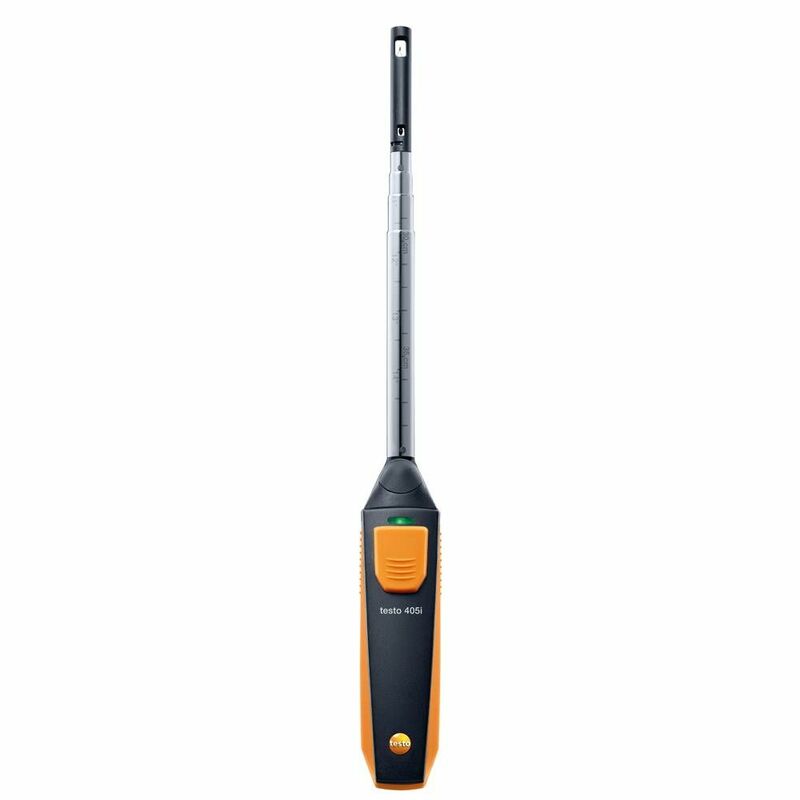 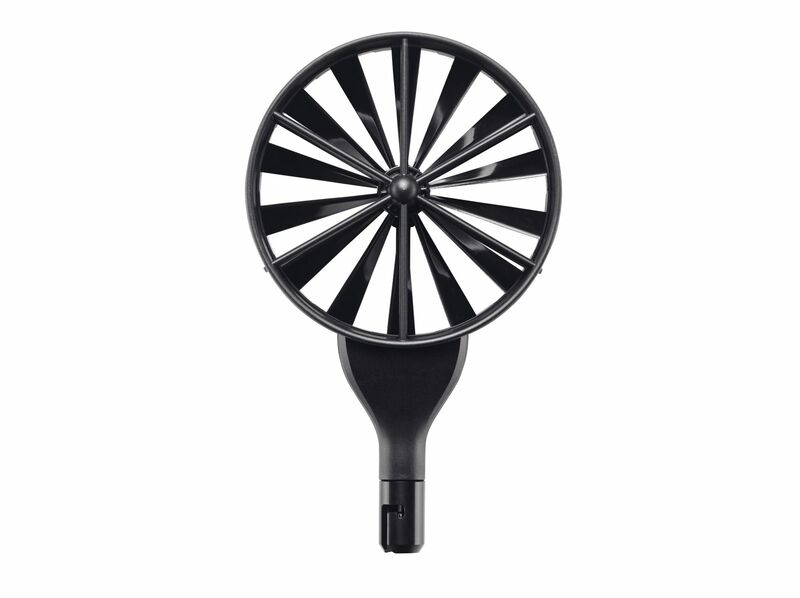 Use the vane probe to determine air velocity, volume flow and temperature at air outlets, as well as at plate outlets, ventilation grilles or swirl outlets. 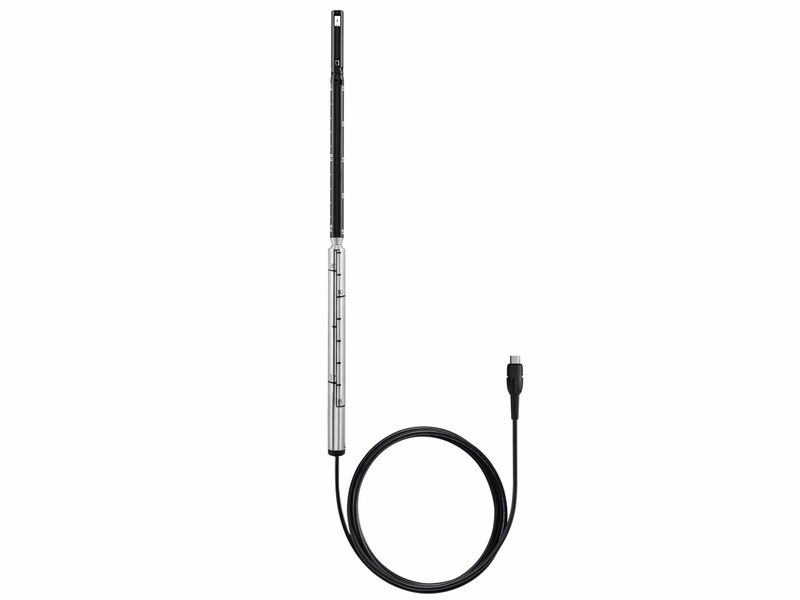 Use the vane probe to determine air velocity, volume flow and temperature at air outlets, as well as at plate outlets, ventilation grilles or swirl outlets. 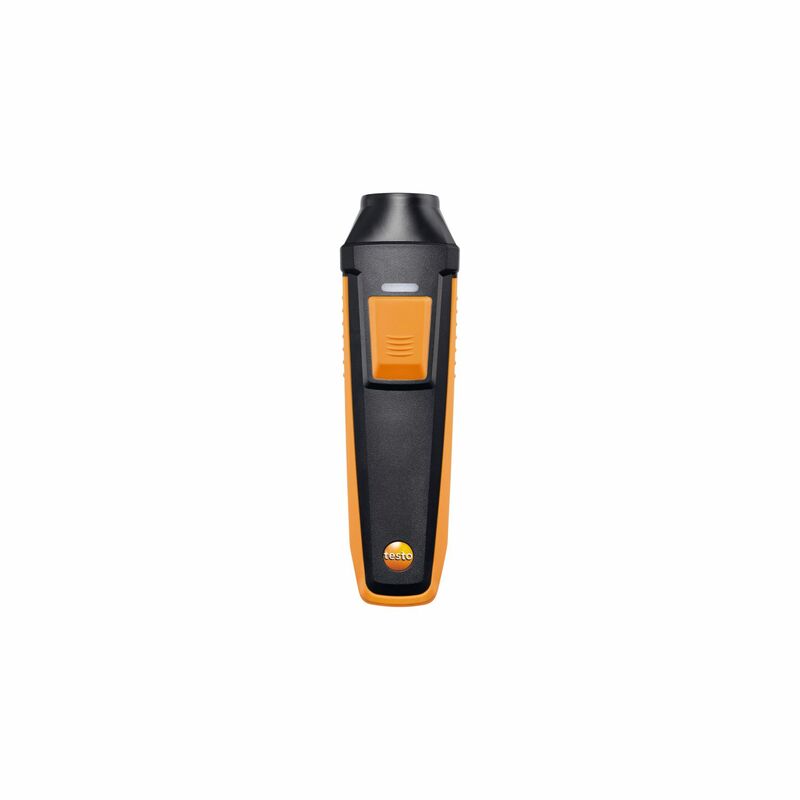 The readings are transmitted directly to your measuring instrument via Bluetooth, making your measurements particularly convenient. 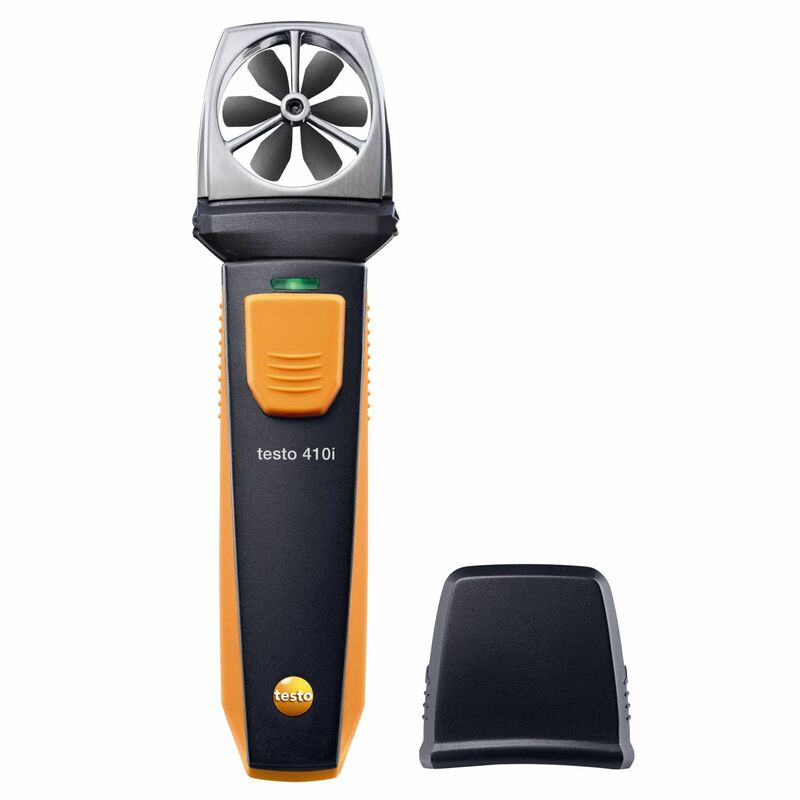 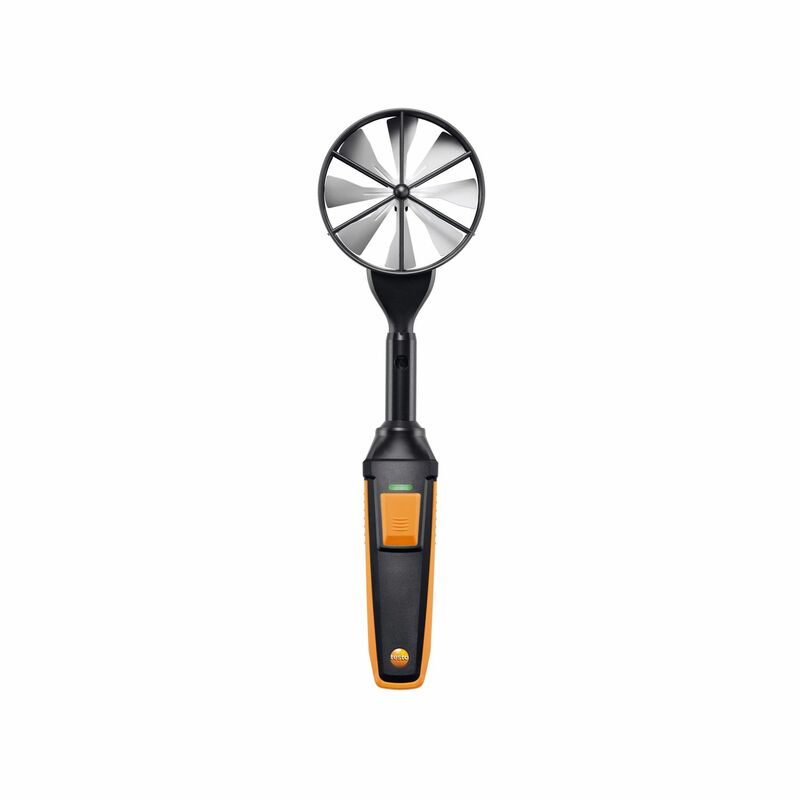 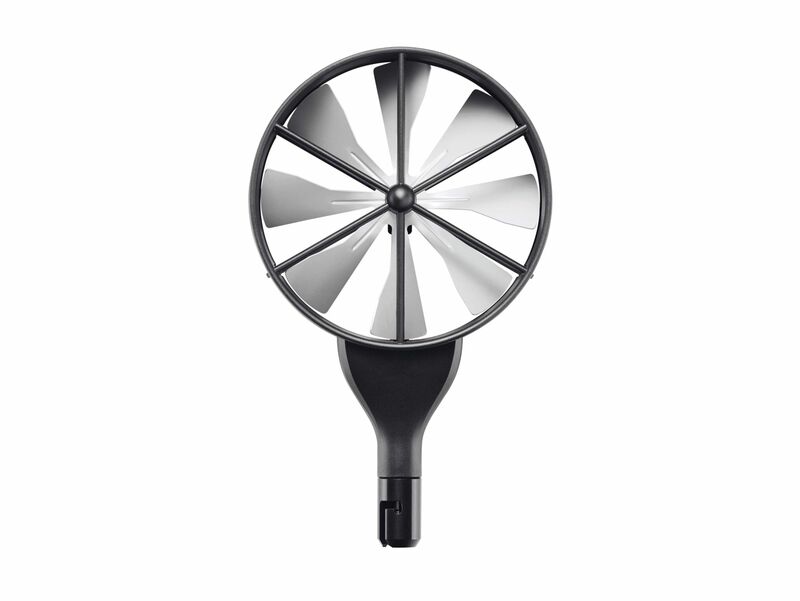 The extendable telescope with easy-to-read scaling makes it easier to carry out measurements in ventilation ducts. 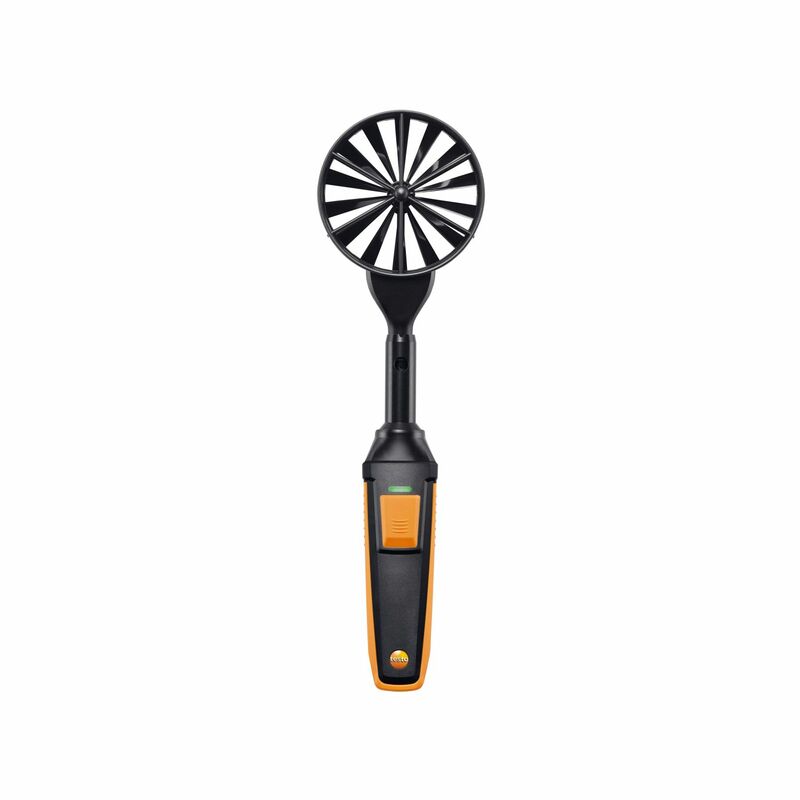 Thanks to the supplied 90° angle, you can even carry out convenient measurements at ceiling outlets. 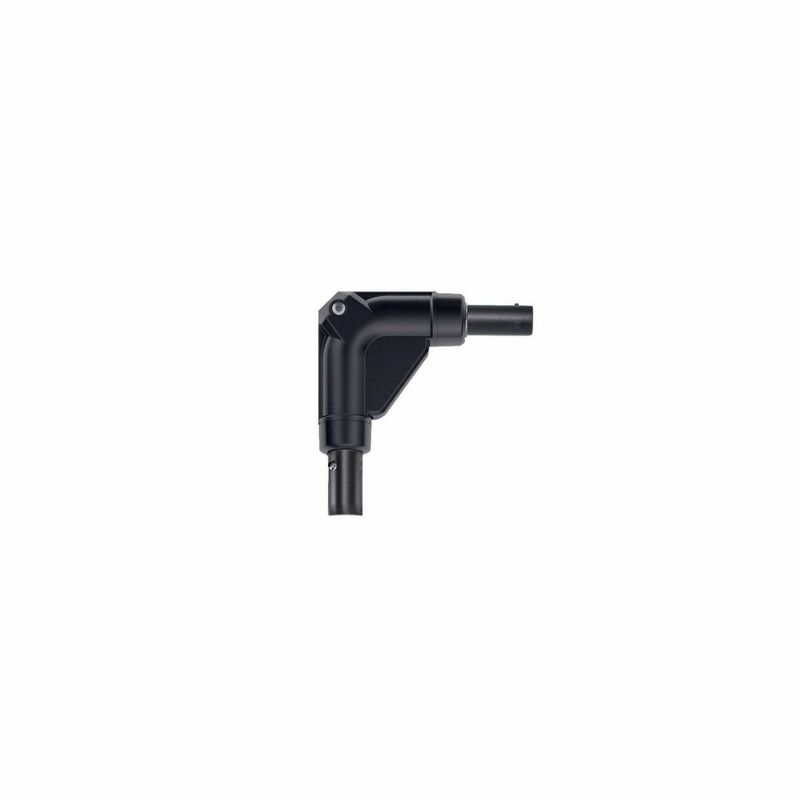 Use the handle adapter to attach the telescope to air velocity probes with a universal handle with Bluetooth® or cable. 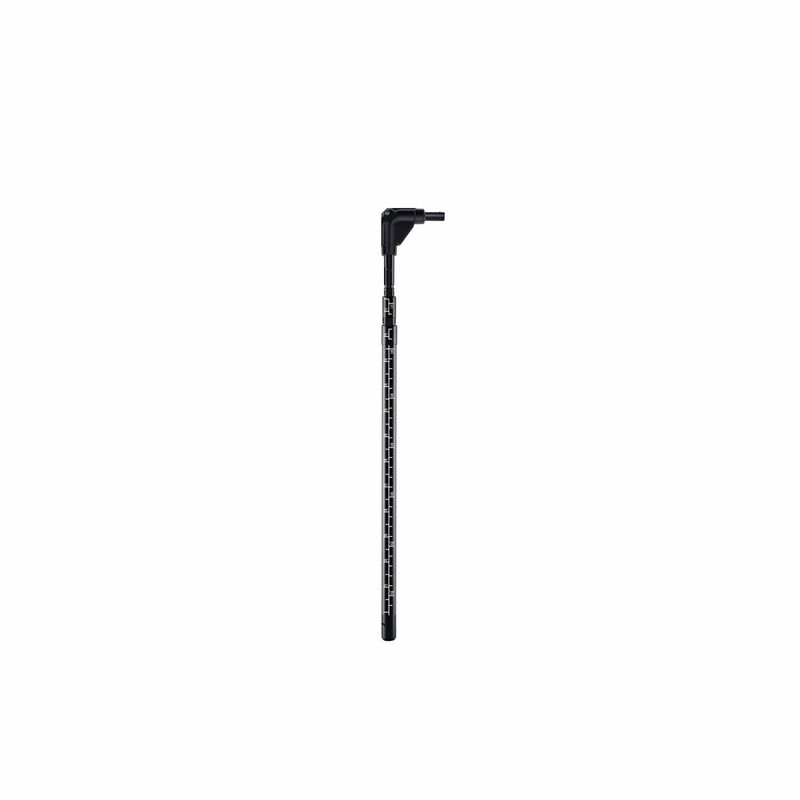 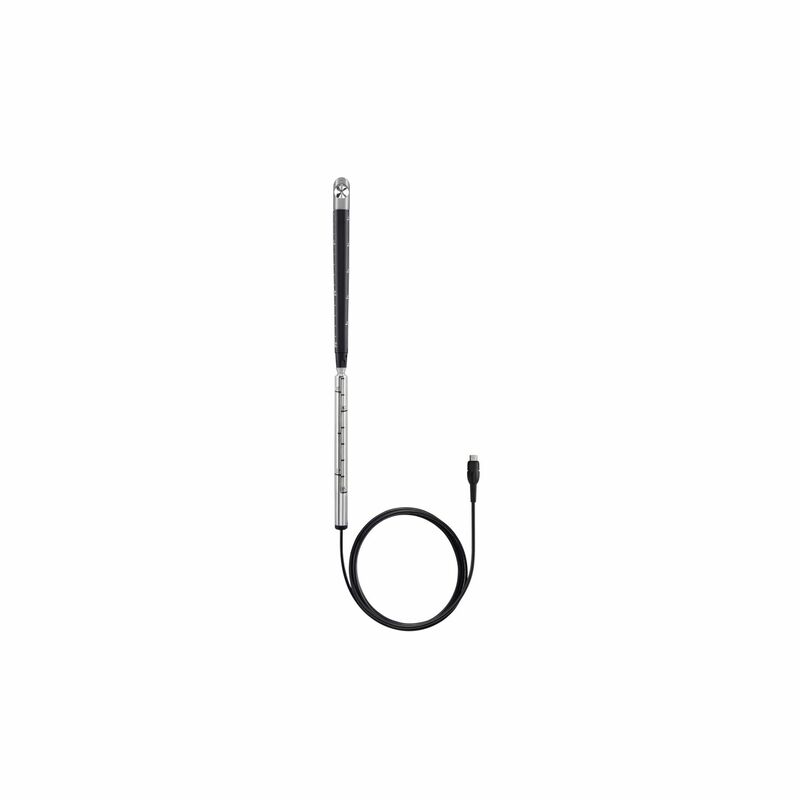 Use the telescope extension to easily extend the telescope for air velocity probes with universal handle – attain a total probe length of up to 2 m.
The handle adapter allows you to connect probe heads for air velocity measurement or the extendable telescope for air velocity probes to the universal handle with Bluetooth® or cable. For measurements in ventilation ducts: use the vane probe (with the compatible measuring instrument) to measure air velocity, volume flow and air temperature. 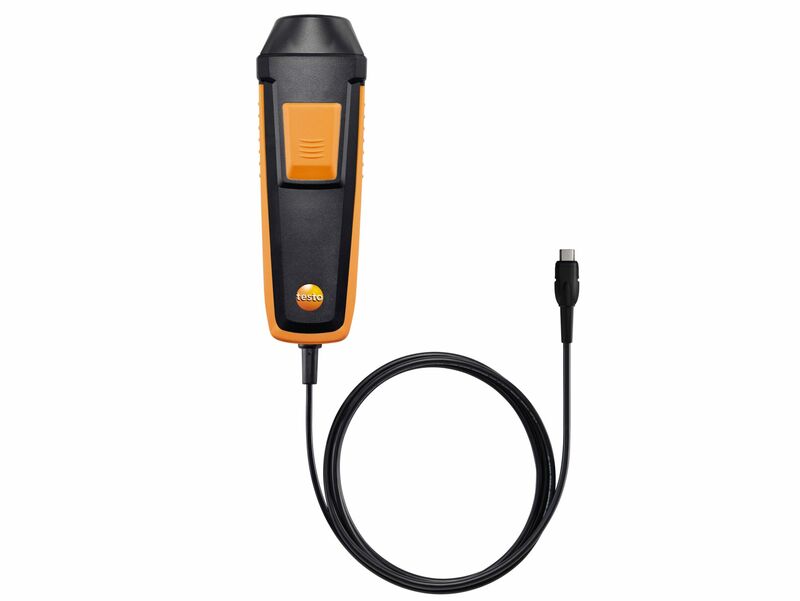 The readings are transmitted directly to your measuring instrument via Bluetooth, making your measurements particularly convenient. 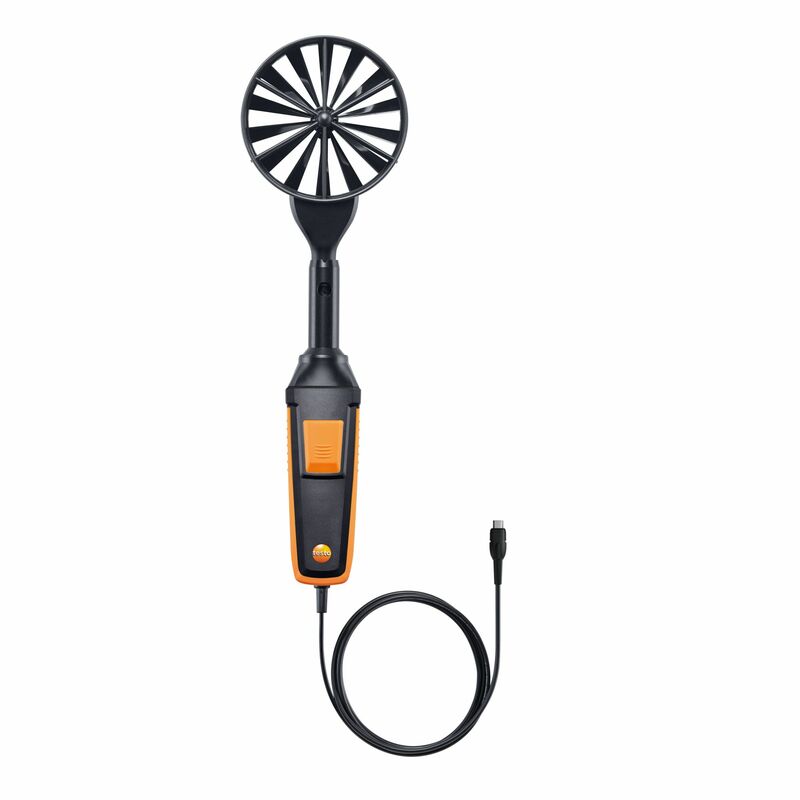 For measurements in ventilation ducts: use the vane probe (with the compatible measuring instrument) to measure air velocity, volume flow and air temperature. 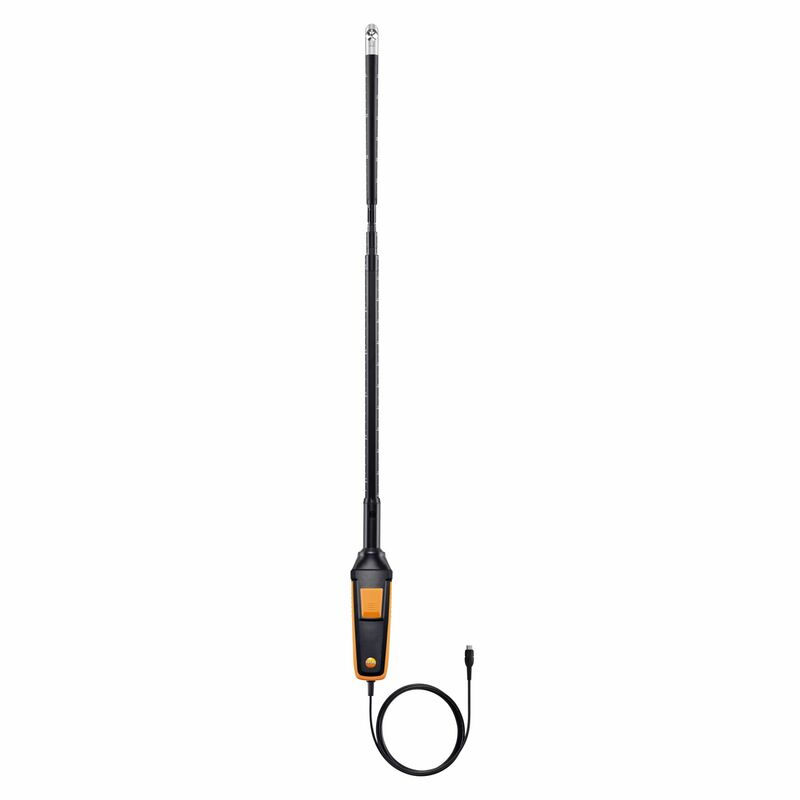 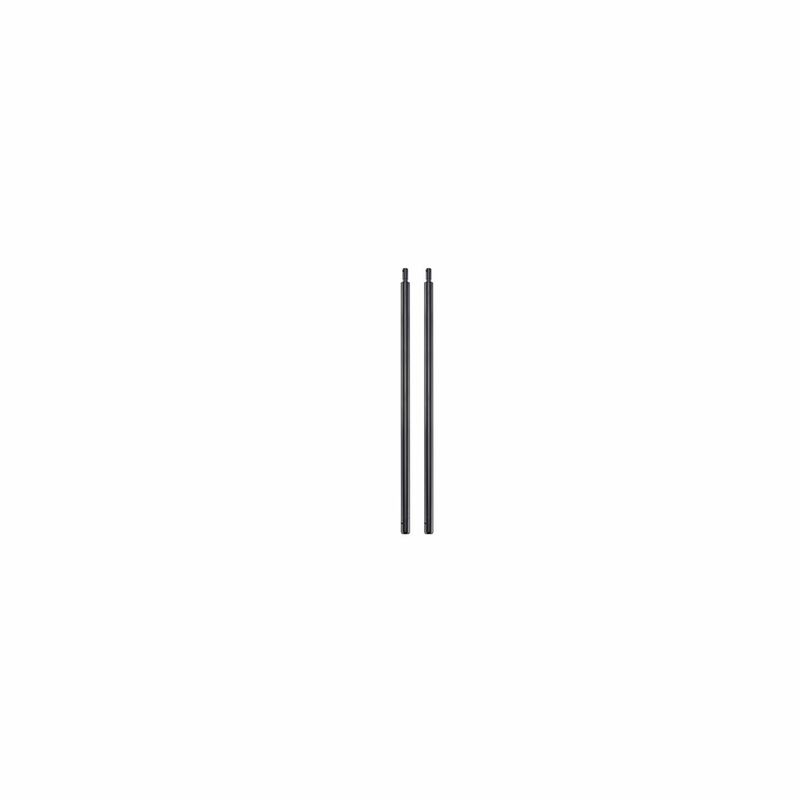 More applications, less equipment: if you already own one of our probes with a universal handle, you can easily expand your portfolio of probes with the 100 mm vane probe head.